Applying to North Central is FREE! Go to www.ncmich.edu and click on Apply Now to get started. Request official transcripts from all colleges/universities you have attended to be sent to the Records office. First time students request your final high school transcript to be sent to our Records office. Go to www.ncmich.edu, under Financial Aid. Apply early, processing takes at least four weeks. All new students at North Central are required to attend an orientation session. You will learn terms, expectations, processes needed for college life, and register for classes. Assessment must be completed prior to scheduling to attend a session. Go to www.ncmich.edu/academics/orientation-and-advising.html to schedule an orientation session. All previous and transfer students must meet with an advisor to register for classes. Payment due dates are set and published on the web. They are also found on the printed class schedule each semester and on your bill. For payment options go to www.ncmich.edu, click on Paying for College. Your My Mail account will be emailed to you when you become an accepted North Central student. This is the primary way you will receive correspondence from North Central. Your username is the same as the Portal so your address would be username@student.ncmich.edu. Check out our affordable, fun and safe on-campus living. 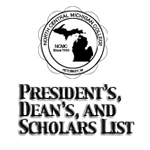 Get more information by clicking here http://www.ncmich.edu/future-students/campus-life/. Call (231) 348-6824 to schedule your tour. Former North Central students who are credential-seeking but have not previously taken English or mathematics courses or do not have assessment scores on record are required to take or provide ACT, SAT, COMPASS or ACCUPLACER scores before registering for classes. Former students need to re-apply after two years of non-attendance. North Central offers high school students an opportunity to attend college while in high school in accordance with Michigan Dual Enrollment legislation. High school students beginning in grade 9 may be eligible for dual enrollment/concurrent enrollment as recommended by their high school. Students apply online for admission to the College. Each semester, students meet with their high school counselor to complete the Request for Registration form for submission to the College. Depending on the course selected, students may be required to submit ACT, SAT, COMPASS or ACCUPLACER assessment scores. Requirements are outlined in information provided to students and high school counselors. Information is also available from Student Services at the College. Requirements are subject to change in accordance with state law. North Central Now! 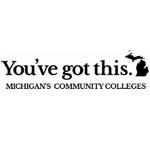 Early College is a program for high school students in the northern Michigan region which allows students to receive both their high school diploma and associate degree after their fifth year of high school. Students will complete their course work at their home high school and at North Central Michigan College's Petoskey, Gaylord, or Cheboygan campus. The goal of the early college is to provide students in the region an exceptional academic experience that promotes student success through achieving a college credential while reducing the time and expense of a college education. Increasing the number of area residents with college degrees is an important regional and national goal. For former high school dual-enrolled students are required to complete a new application for admission if they wish to continue or return to North Central after graduation from high school. Former dual-enrolled students may be required to submit ACT, SAT, COMPASS, or ACCUPLACER scores before registering for classes, and attend orientation. Tech Prep is a planned course of study that begins in high school and leads to an associate's degree at North Central. This course of study combines technology, applied academics and work-based learning experiences to prepare the student for high-demand, high-wage careers. Students who participate in Tech Prep in high school can earn and articulate 3 to 17 hours of credit toward an associate's degree at North Central. Students in the Charlevoix-Emmet and the Cheboygan-Otsego-Presque Isle intermediate school districts may qualify for Tech Prep. For more information, contact your local high school counselor or Student Services. North Central values and encourages lifelong learning. Community members may enroll and earn credit in most academic courses. Courses can also be audited for no credit. Students who take courses for personal interest and do not plan to earn a degree, certificate or transfer are not eligible for financial aid. They are exempt from assessment unless an English or mathematics course is selected or a prerequisite is required. Be admitted to North Central. Complete any required assessment testing. Request and submit official transcripts. Student grade reports or student copies are not acceptable for credit evaluation. 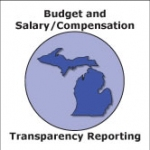 Allow 10 days for processing after transcripts are received by North Central. Students who have completed courses at other colleges or universities must request an official transcript be sent to the Registrar. All transcripts must be sent directly from the transferring institution to North Central. Hand-delivered transcripts will not be accepted. An evaluation will not be made unless a student has completed an Application for Admission to North Central Michigan College. Only credits granted by schools accredited by regional accrediting associations will be considered for transfer to North Central. Credits, not grades, are transferred for "C" (2.0) or better courses. In most cases, courses will be accepted for equivalent North Central courses or elective credit. No evaluation of credit is made for a student who has received a two- or four-year degree from another institution, except for coursework that applies to the student's declared program of study at North Central. Military Service School credit may be awarded where such credit is applicable to the student's declared program of study. Evaluations are consistent with the American Council on Education's Guide to the Evaluation of Education Experiences in the Armed Forces recommendations. North Central will recognize credits for Advanced Placement (AP) and/ or College-Level Examination Program (CLEP), provided scores on the AP are three or higher and CLEP scores are 50 or above. Students who have previously earned associate or bachelor degrees of arts, sciences or general studies (or equivalent) are not eligible to earn associates of arts, sciences or general studies at North Central. North Central may recognize up to 30 semester credits in transfer from trade schools or apprenticeship programs certified by the Michigan Department of Education. No more than 45 semester credits from all external sources will be utilized in transfer by North Central toward a degree or certificate. Note that 15 semester credit hours must be taken from North Central (8 credit hours for a certificate of development) before a certificate, degree or MACRAO certification may be earned. A minimum of one course from North Central must be taken before the MTA may be conferred. North Central will not replace a student's grade recorded for a course taken at North Central with a grade from an equivalent course taken by the student at another institution. Quarter credits or other units of credit transferred in will be converted to semester credits and must equal the required semester credits for the purpose of satisfying graduation requirements. North Central will only evaluate international transcripts that have been evaluated by either World Education Service, Inc. (WES) or Educational Credential (ECE). The evaluated transcript must come directly to North Central from one of these agencies. Students attending other colleges may enroll at North Central as guest students. Guest students are not required to take an assessment test; however, they must meet prerequisites for any course. 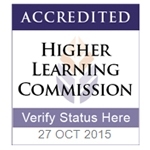 Official or unofficial transcripts may verify prerequisites. 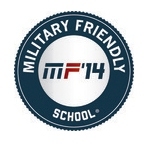 A guest student must apply online and may also submit a Michigan Uniform Guest Application (optional). Advice on course selection and transferability should be addressed with the student's home institution prior to registration. International students must supply all admissions documents no later than 10 weeks prior to the beginning of the semester. Show proof of academic ability. Submit transcripts of courses taken at all secondary schools and universities. College credit may be awarded for international university coursework if the applicant submits transcripts to a recognized credit evaluation agency. Demonstrate a sufficient level of financial support with documentation verifying the availability of funds. Financial aid is not available for international students from North Central Michigan College or U.S. federal or state governments. All applicants whose native language is not English must demonstrate adequate knowledge of written English. On the Test of English as a Foreign Language (TOEFL), a score of 550 or higher on the paper-based test, 213 or higher on the computer-based test, or 79-80 or higher on the Internet-based test is required proof of English proficiency. North Central Michigan College's TOEFL code number for score reporting purposes is 1569. All international students are required to maintain full-time enrollment status during the regular fall and winter semesters. No more than one course per semester may be taken in a distance format. All international students are also required to carry an approved medical insurance policy to cover major medical expenses. Those without adequate medical insurance will be required to enroll in a student insurance program available through North Central. It is the responsibility of the foreign national to properly maintain his/her visa status. International students who have a visa status other than F-1 may enroll at North Central, provided placement testing indicates an ability to benefit from college-level courses taught in the English language, and provided their visa status allows college enrollment. Foreign nationals already in the United States who wish to change their visa status to F-1 must use the International Admission process, including evidence of English language ability and sufficient financial support. The process of changing visa status takes up to three months. No tuition reimbursement or final grade provision can be made for an enrolled international student. Students who are in the United States under various non-immigrant visa categories are not eligible for in-district or in-state residency status for tuition purposes.